Armstrong has learning centers across the globe. Our Learning Centers are located in: Three Rivers, Michigan (USA); Liege, Belgium, Beijing, China; Nagoya, Japan; and very soon in Guadalajara, Mexico. Seminars and other learning opportunities give you access to our unique legacy of knowledge. Our seminars are hands-on sessions, conducted at our Learning Centers, worldwide. 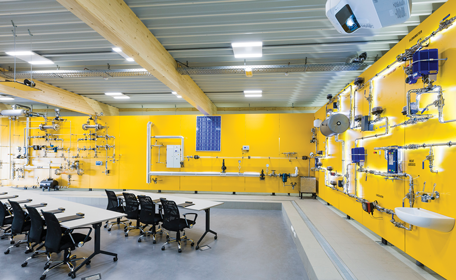 Armstrong Global Learning Centers are equipped with the latest functional and cutaway equipment, making it possible to actually see how utility systems operate. Seminars begin with the basics, ove on to best methods for installation and application, and conclude by exploring ways to maximize return on your energy investment. They are taught by trained Armstrong experts who have the technical background and field experience necessary to ensure that you receive relevant, understandable information. We offer Industry-Specific training and seminars to address your most common daily issues. For those who are remotely located and need an Internet-based option, Armstrong provides on-demand webinars that cover specific subjects. If you have a particular need or area of interest, consider having a seminar customized for your personnel. Following is this year's Armstrong University Class Schedule for our Three Rivers, MI (USA) Global Learning facility. 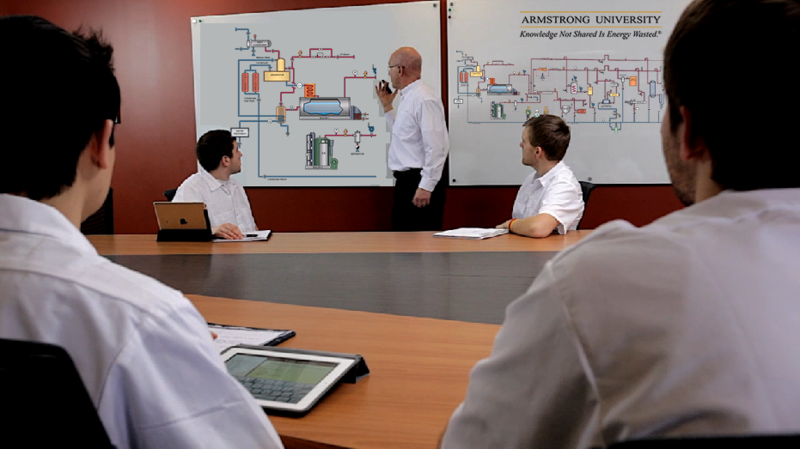 Many Armstrong Representatives operate their own training facilities. And some Representatives even have portable demonstration units that can be brought to your site. To schedule a seminar, contact an Armstrong Seminar Coordinator. Or talk to your Representative. To locate the Armstrong Representative closest to you, click FIND A REP here.